This clock comes in an extra large size, just what you need for making a bold statement. In the elegantly classic skeleton design with black surround and rustic gold Roman numerals. This will be perfect for hanging in the living room or hallway and adding a vintage retro look. The Roman numerals are large and easy to read with elegant hour and minute hands. The outer frame of the clock is painted in a distressed black withe the Roman numerals and second markers in a rustic gold finish. 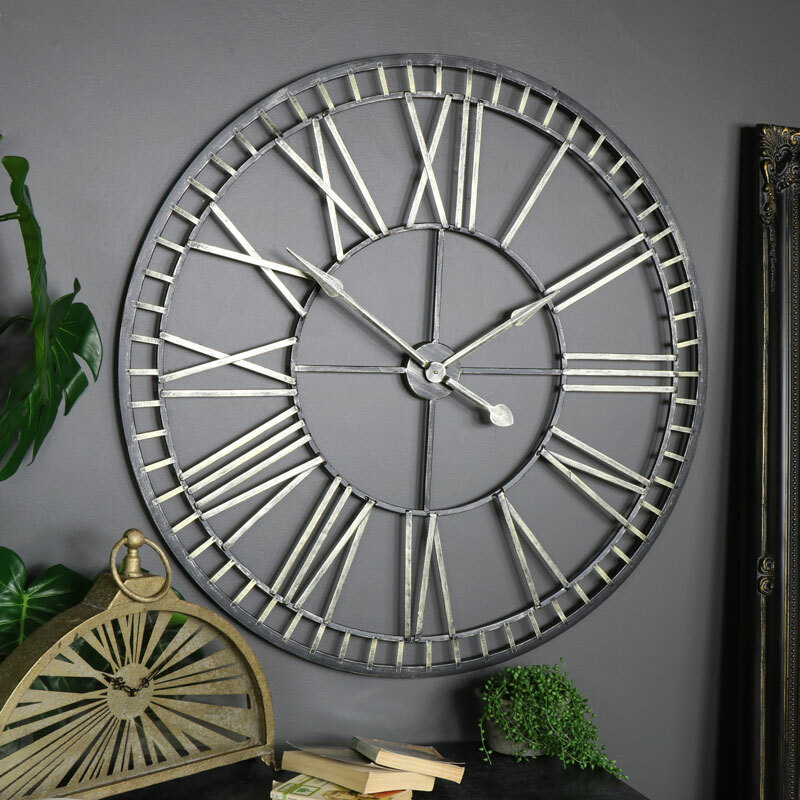 This is a fantastic addition to our growing range of skeleton style clocks, with so many to choose from, these clocks make an excellent gift idea and will complement any interior beautifully. 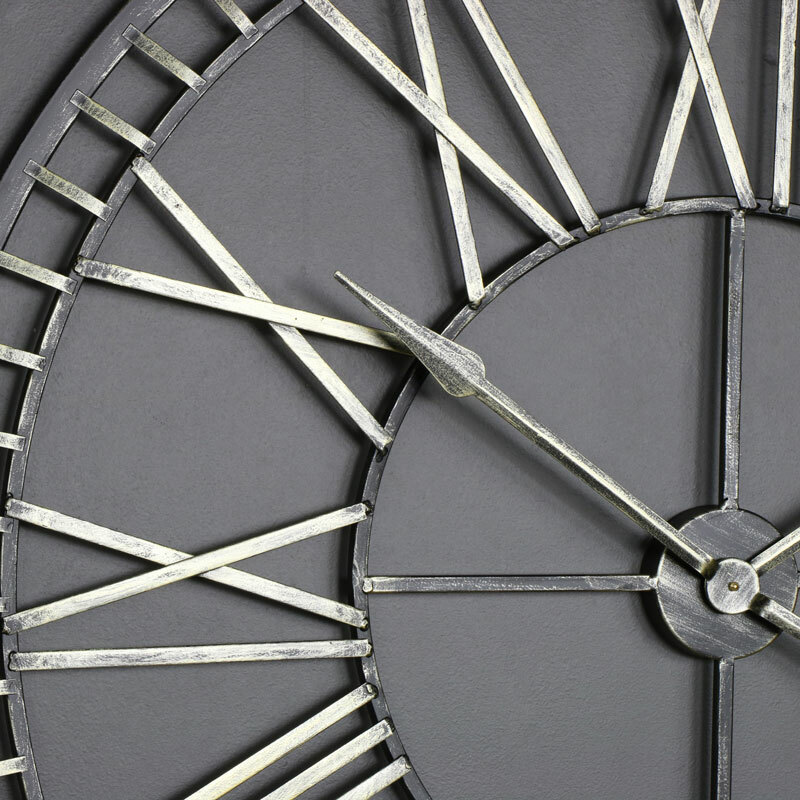 This clock comes in an extra large size, just what you need for making a bold statement. In the elegantly classic skeleton design with black surround and rustic gold Roman numerals. This will be perfect for hanging in the living room or hallway and adding a vintage retro look. The Roman numerals are large and easy to read with elegant hour and minute hands. The outer frame of the clock is painted in a distressed black withe the Roman numerals and second markers in a rustic gold finish. This is a fantastic addition to our growing range of skeleton style clocks, with so many to choose from, these clocks make an excellent gift idea and will complement any interior beautifully. Made from metal in a black and gold finish. Easily wall mounted with a hook on the back, the clock takes x1 C Size battery (not included).